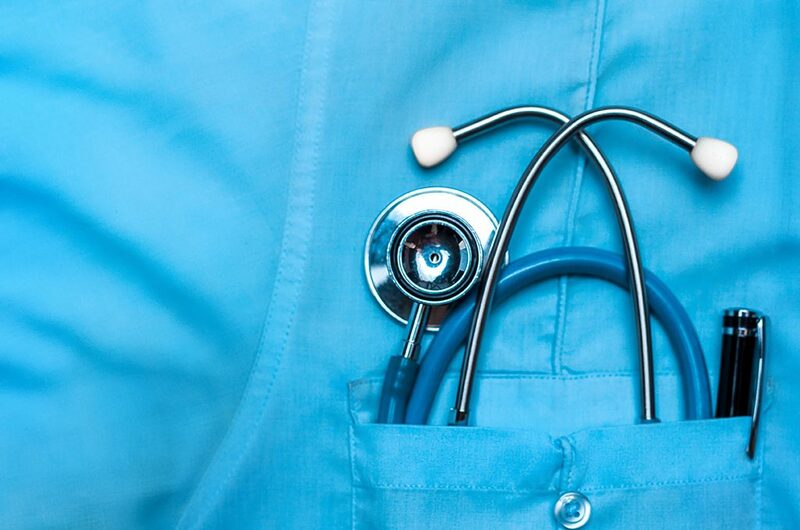 Trexin helped an integrated care manager complete a market assessment and begin concept testing. An integrated care manager for Medicaid patients in a large metropolitan area was developing a new product for real-time care alerts. 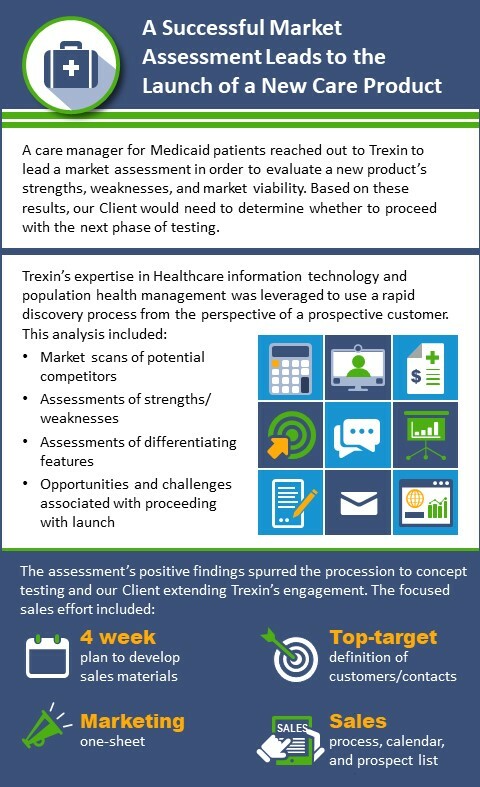 The President & CEO asked Trexin to lead a market assessment that would evaluate the product against competitive care management and population health solutions to determine its relative strengths and weaknesses, differentiating features, and market viability. Leveraging our expertise in Healthcare information technology and population health management, Trexin used a rapid discovery process to document the product’s most compelling features from the perspective of a prospective customer. Trexin then conducted a market scan of potential competitors, building upon an initial list of likely competitors compiled in close collaboration with our Client’s own internal team. After analyzing the competitive offerings to assess relative strengths and weaknesses and market-differentiating features, Trexin distilled the overall market assessment results into a list of opportunities and challenges that our Client would need to consider in judging the viability of proceeding. Based on the positive findings of the market assessment, our Client elected to proceed to concept testing and extended Trexin’s engagement to articulate the value proposition of the solution, identify key prospects, and introduce the solution to potential clients and influencers. Continuing to work quickly to minimize time-to-market, Trexin created and executed a four-week plan to develop the sales material that was used in the focused sales effort, including the definition of top-target customers thought to be early adopters and the identification of target contacts at those organizations. Trexin created the sales material by mining existing sales collateral and presentations, working iteratively with our Client’s marketing team to develop and refine winning sales messages and presentation content to illustrate and reinforce the product’s value proposition. In addition to successfully completing the market assessment, Trexin launched the concept testing phase by producing a focused and compelling sales presentation deck, an accompanying marketing one-sheet, and a detailed outreach plan that included a step-by-step sales process, sales calendar, and prospect list. Our Client indicated that the set of Trexin deliverables was exactly what they needed, and as a testament to the quality and thoroughness of that work, our Client fully completed the concept testing, accelerated product evaluation and development, and released the product for general availability.